The capital’s urban forest is made up of over eight million individual trees, which are found across London’s streets, parks, gardens and open spaces. Collectively this forest provides the capital with a range of ecosystem benefits such as air quality improvement, pollution removal, water attenuation, carbon sequestration and temperature reduction. 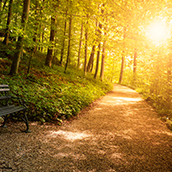 Together, these benefits and qualities help make up the green infrastructure of the city. Other benefits of urban forests and open spaces with trees include oxygen production, increase in property values and flood protection. Trees also provide habitats for wildlife, food for animals and people and improvements to physical health and mental wellbeing. London has 21% canopy cover and ranks second (behind Toronto) in a list that compares ecosystem services of the urban forests across Europe and North America. In 2014 a large volunteer group was created to record the trees in London across 700+ sites – a project called i-Tree Eco. The project looked at the type of land (and its use), the number of trees and species and also the size and health of the trees. In terms of species composition, sycamore (at 7.8%) is the most common species found across Greater London. 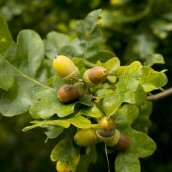 English oak is second (7.3%), followed by birch (6.2%), hawthorn (6.2%), ash (4.5%), apple (3.9%) and cypress (3.6%). A healthy urban forest is one that is diverse in species and age range. Excellent service from Christopher and his team. Extremely professional, friendly and efficient service. Would highly recommend.